Because of widespread password reuse, Account Takeover (ATO) attacks have become an extremely lucrative business for cybercriminals. 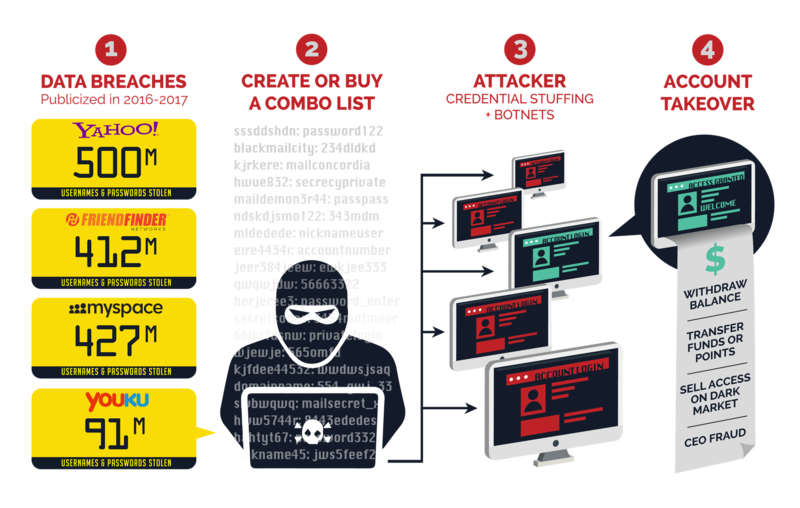 Organized crime rings are performing ATO attacks at a massive scale by leveraging botnet-infected armies to attempt credential-stuffing attacks against various web and mobile applications. Cyber criminals exploit compromised accounts for financial gain by pilfering financial or personally identifiable information (PII) directly or by selling access to these accounts on underground markets.